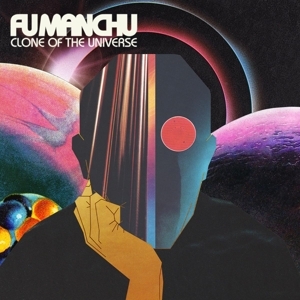 Southern Californian hard-rock legends FU MANCHU have announced plans to release their 12th studio album, Clone of the Universe, on February 9th,The upcoming record will be their first in 4 years, following the 2014 release of Gigantoid . In addition to the album news, FU MANCHU has also announced a world tour in support of the record. Dates are listed below. Clone Of The Universe marks a new chapter for the "fuzz rock" pioneers as they mix the straight ahead blistering rock with the unexpected time shifts, featuring tracks like the roaring cuts "Don't Panic" and "(I've Been) Hexed" and the dynamically complex "Clone of the Universe" and "Slower Than Light." The centerpiece of the album is "IL Mostro Atomico," an 18 minute 8 second, side long epic featuring a special guest performance by Alex Lifeson, guitarist and songwriter of the legendary band RUSH. Heavier than anything they've ever done and broken into 4 distinct sections, it's new ground for a band that's been pushing the boundaries of "fuzz and wah" since its formation in 1990.The band will be playing 2 album release shows in Southern California before hitting the road in Europe in March of 2018 and returning to the US in May of 2018. Additional 2018 shows will be announced in the coming months. "We are excited to get out and play this stuff, especially "Il Mostro Atomico," says founding guitarist, Scott Hill. "We think it's some the strongest music we've ever done. We really love the overall sound of the album and having Alex (Lifeson) play on it is just incredible. It gives it that special validation for the idea that we had to try something like a side long song." The album was recorded and produced by FU MANCHU and Jim Monroe at The Racket Room in Santa Ana, CA with additional recording by Andrew Giacumakis at SUSSTUDIO in Simi Valley CA and will be released worldwide for streaming and on vinyl and CD on the band's own AT THE DOJO RECORDS. FU MANCHU is Scott Hill (vocals, guitar) Bob Balch(Guitars), Brad Davis (Bass) and Scott Reeder (Drums and Percussion).